Found one file extension association related to Tropico 3 and 1 file format developed specifically for use with Tropico 3. The time is yesterday and the Cold War is in full swing. Through means devious and dubious you have seized power in the Caribbean island country of Tropico, where you now rule as the all-powerful “El Presidente”. No matter whether you turn Tropico into a vacation paradise, a police state or a modern industrial nation - you will always have to defend your actions before your people! Wander through Tropico as El Presidente in order to intimidate political opponents, hold populist speeches or just to enjoy your country’s own Caribbean flair. 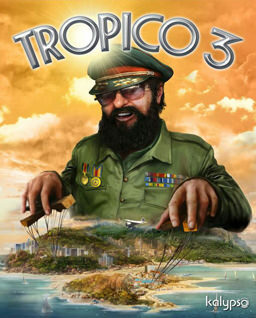 If you need more information please contact the developers of Tropico 3 (Haemimont Games), or check out their product website.